We ran a booth at CEATEC JAPAN 2016! We set up a joint booth with Japan Remote Control Co., Ltd. at CEATEC JAPAN 2016 held in Makuhari Messe from October 4–7. 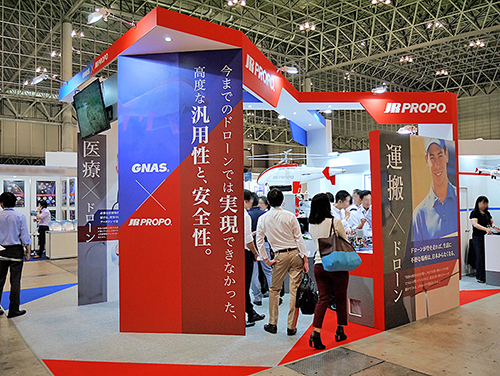 Thanks to many people who visited our booth, we were able to carry out our event successfully. Thank you very much. 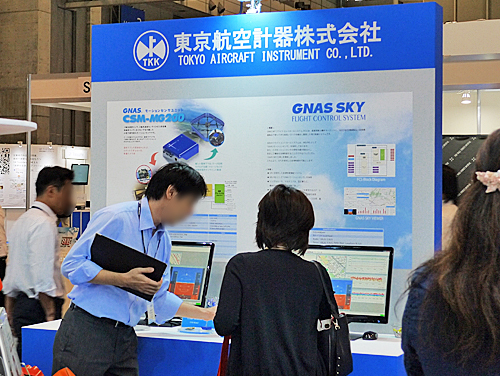 In our joint booth, we exhibited an unmanned multipurpose helicopter “EARTH ONE” jointly developed by the two companies, numerous attachments which can be utilized in various scenarios, and also a model of the flight control system visibly demonstrating the inside mechanism of EARTH ONE. We received good feedback from many visitors, which also made us strongly reassured. Please keep an eye for our future success of EARTH ONE!